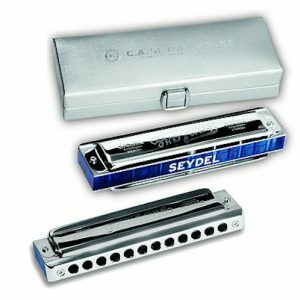 Dales Song 7 sets comprises of the keys: A, Bb, C, D, E, F, and G.
The Dales Song Tremolo 24, is now available in a set of 7 harmonicas. 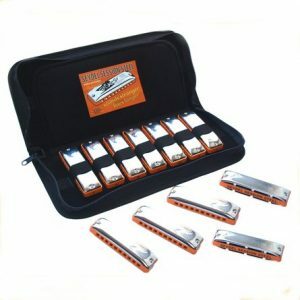 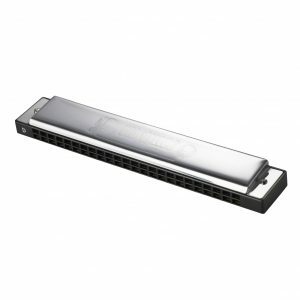 This affordable 24 hole, solo tuned, tremolo harmonica has a warm, bright and responsive tone. 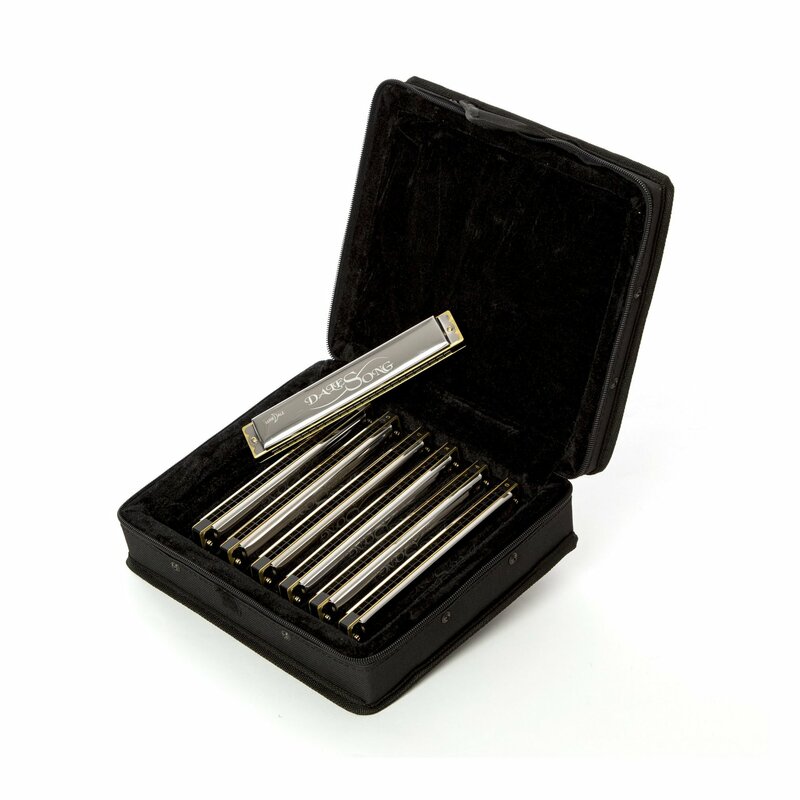 The Dales Song has brass reeds and plates on a durable plastic comb, capped with highly polished, stainless steel cover plates. 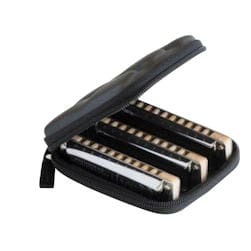 The Dales Song tremolo harmonicas are contained in a black, zip fasterned, padded, canvas case.